Made in and imported from Italy by Gedy, this decorator soap & lotion dispenser is great for contemporary bathrooms. 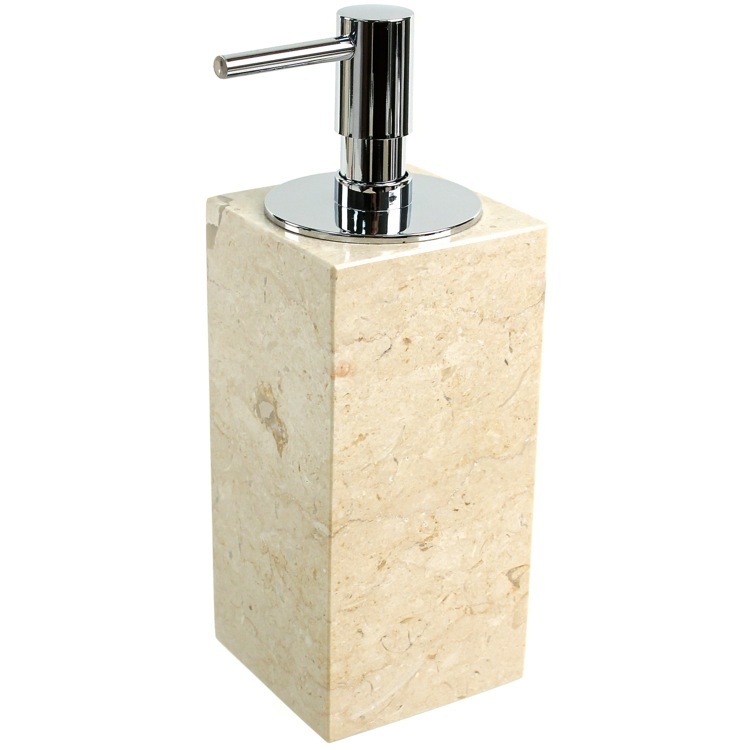 Available in beige and made in extremely high quality marble, this lotion/soap dispenser is part of the Gedy Claudia collection. DISCLAIMER: Product is made of naturally occurring marble. The marble often includes multiple veins that give each dispenser a unique pattern that can not be replicated on any other piece.